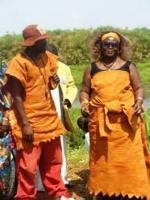 Travelers are voting Lamu Town, Takwa and Kiwayu as the best of 4 tourist attractions in Lamu Island. 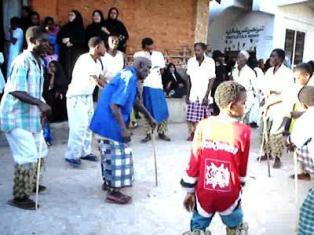 Lamu Old Town is a unique and rare historical living heritage with more than 700 years of continuous settlement. The island itself is a beautiful place of rolling dunes and endless beaches, where tiny villages nestle among coconut and mango plantations and lateen sailed dhows ply the waters. Lamu’s narrow streets remain unchanged, and in the markets and squares around the fort life moves at the same pace as it always has. There are no vehicles on this island, and the donkey and the dhow remain the dominant form of transport. The people of Lamu are great believers in tradition and custom, and this is a strong society built on a respect for the past. For the traveller, Lamu is a hypnotically exotic experience, made even more enjoyable by the relaxed and welcoming attitudes of the locals. 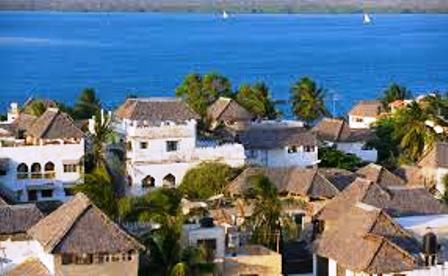 To visit Lamu is to enter another world, and the visitor finds themselves becoming a part of this world. Life slows down, and long days are spent strolling along the waterfront, exploring the town or relaxing on the beaches. Lamu is best accessed by air. There are scheduled flights daily from Nairobi, Mombasa, Diani Beach and Malindi. The island is serviced by an airstrip on neighbouring Manda Island. The strip can also be used by private charters. A dhow ferries arriving passengers to either Lamu town or Shela. Many yachts also come to Lamu, often sheltering in the channel near Shela. 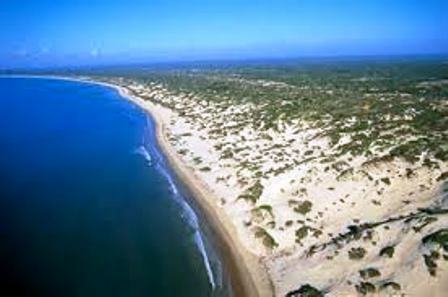 There are no vehicles on Lamu. The winding streets of the towns are best explored on foot. Shela village and the beaches are also accessible by foot. Alternatively dhows regularly carry paying passengers back and forth from Lamu town to Shela. To access the surrounding islands of Manda, Pate or Siyu, either take an organized Dhow Safari or for the adventurous traveller, just hitch a ride on a passing dhow and explore. 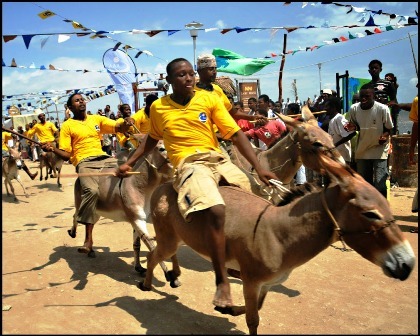 It is also possible to hire donkeys to ride around the island.